I am feeling like these fellas today - slow and wet (it's raining here). We have a lot of these fellows here too. I find them extremely cute and scary at the same time. I'm just a scaredy cat of all things scaly or slimy, that's all. 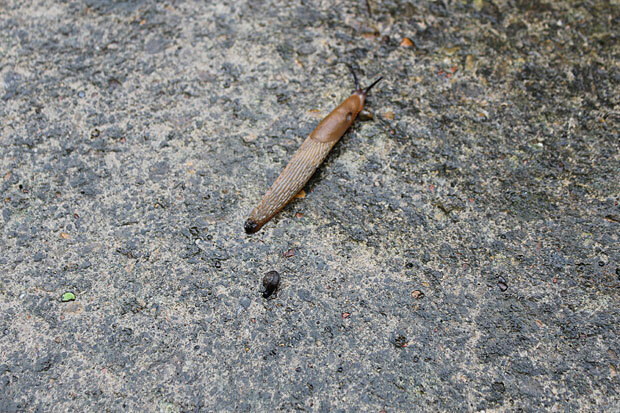 Not that impressed with the big slug - you see them everywhere - but I have never seen such a tiny little snail before. Meeting the slug must be like us meeting a wale as we are walking down the street.